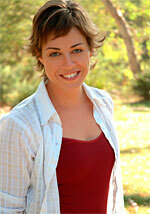 Deb Norton is a playwright, actress, teacher, and the Artistic Director of Theater 150. After attending the Master's program at A.C.T. in San Francisco, she joined their acting company to play roles in 1918, Babylon Gardens, Twelfth Night, and more. Then, after a six-year stint in N.Y.C., she moved back to the west coast to author and star in her first full-length play, The Whole Banana, in Ojai and then in Los Angeles, where she garnered rave reviews and a movie option. Deb's training as an actor, and her twenty years of working in theater, have led her to an unconventionally holistic approach to writing and teaching.